The Dumnonii or Dumnones were a British Celtic tribe who inhabited Dumnonia, the area now known as Devon and Cornwall in the farther parts of the South West peninsula of Britain, from at least the Iron Age up to the early Saxon period. They were bordered to the east by the Durotriges. "was in ancient time inhabited by those Britains whom Solinus called Dunmonii, Ptolomee Damnonii, or (as we find in some other copies) more truly Danmonii. ... . But... the Country of this nation is at this day divided into two parts, known by later names of Cornwall and Denshire [Devonshire] ... The near or hithermore region of the Danmonians that I spake of is now commonly called Denshire, [or] by the Cornish-Britains ‘Dewnan’, and by the Welsh Britains ‘Duffneint’, that is, ‘low valleys’, for that the people dwell for the most part beneath in Vales; by the English Saxons [it is known as] ‘Deven-schire’, whereof grew the Latin name ‘Devonia’, and by that contraction which the vulgar people useth, ‘Denshire’." William Camden had learnt some Welsh during the course of his studies and it would appear that he is the origin of the interpretation of Dumnonii as "deep valley dwellers" from his understanding of the Welsh of his time. John Rhys later theorized that the tribal name was derived from the name of a Celtic goddess "Domnu," probably meaning "the goddess of the deep." An alternative derivation is from the Gaelic Domhnain which merely means "land" and leads to the meaning "people of the land", Latinised as Dumnonii. Another tribe with a similar name but with no known links were the Fir Domnann in the province of Connacht. The Roman name of the town of Exeter, Isca Dumnoniorum, contains the Celtic root *iska- "water" (cognate with Irish uisce (See Whisky)) for "Water of the Dumnonii". The Latin name suggests that the city was already a Celtic oppidum, or walled town, on the banks on the River Exe before the foundation of the Roman city, in about AD 50. The Dumnonii would give their name to the English county of Devon, and their name is represented in Britain's two extant Brythonic languages as Dewnans in Cornish and Dyfnaint in Welsh. Amédée Thierry (Histoire des Gauloises, 1828), one of the inventors of the "historic race" of Gauls, could confidently equate them with the Cornish ("les Cornouailles"). The Dumnonii are thought to have occupied relatively isolated territory in Somerset, Devon and Cornwall and possibly part of Dorset. Their cultural connections, as expressed in their ceramics, were with the peninsula of Armorica across the Channel, rather than with the southeast of Britain. They do not seem to have been politically centralised: coins are relatively rare, none of them locally minted, and the structure, distribution and construction of Bronze Age and Iron Age hill forts, "rounds" and defensible farmsteads in the south west point to a number of smaller tribal groups living alongside each other. Ptolemy's 2nd century Geography places the Dumnonii to the west of the Durotriges, and names four of their towns: Isca Dumnoniorum (later Caeresk, now Exeter), Tamara (presumably on the River Tamar, possibly in the area of modern Plymouth), Uxella (perhaps on the River Axe) and Voliba (unidentified). The Ravenna Cosmography adds the names of two more settlements: Nemetostatio, a name relating to nemeton, signifying "sanctuary' or "sacred grove" (probably to be identified with North Tawton, Devon) and Durocornavium (unidentified, but possibly Tintagel or Carn Brea). The name Durocornavium implies the existence of a tribe called the Cornavii, perhaps the ancestors of the Cornish people (although some trace the Cornish to an unlikely hypothetical migration of the Cornovii of the West Midlands). See the article Cornovii (Cornish) for further information. In the sub-Roman period a Brythonic kingdom called Dumnonia emerged, covering the entire peninsula, although it is believed by some to have effectively been a collection of sub-kingdoms. Interestingly a kingdom of Domnonee (and of (Kernev/Cornouaille alongside) was established in the province of Armorica directly across the English Channel, and has apparent links with the British population, suggesting an ancient connection of peoples along the western Atlantic seaboard. The Dumnonii would have spoken a Brythonic dialect ancestral to modern Cornish and Breton. Victorian historians often referred to this tribe as the Damnonii, which is also the name of another Celtic people from lowland Scotland, although there are no known links between the two populations. Another tribe with a similar name but with no known links was the Fir Domnann in the province of Connacht. Dumnonia is noteworthy for its many settlements that have survived from the Romano-British period, but also for its lack of a villa system. Local archaeology has revealed instead the isolated enclosed farmsteads known locally as rounds. These seem to have survived the Roman abandonment of Britain, but were subsequently replaced, in the 6th and 7th centuries, by the unenclosed farms taking the Brythonic toponymic tre-. As in most other Brythonic areas, Iron Age hill forts, such as Cadbury Castle, were refortified for the use of chieftains or kings. Other high-status settlements such as Tintagel seem to have been reconstructed during this period. Post-Roman imported pottery has been excavated from many sites across the region, and the apparent surge in late 5th century Mediterranean and/or Byzantine imports is yet to be explained satisfactorily. Apart from fishing and agriculture, the main economic resource of the Dumnonii was tin mining. The area of Dumnonia had been mined since ancient times, and the tin was exported from the ancient trading port of Ictis (St Michael's Mount). Tin extraction (mainly by streaming) had existed here from the early Bronze Age around the 22nd century BC. West Cornwall, around Mount's Bay, was traditionally thought to have been visited by metal traders from the eastern Mediterranean During the first millennium BC trade became more organised, first with the Phoenicians, who settled Gades (Cadiz) around 1100 BC, and later with the Greeks, who had settled Massilia (Marseilles) and Narbo (Narbonne) around 600 BC. Smelted Cornish tin was collected at Ictis whence it was conveyed across the Bay of Biscay to the mouth of the Loire and then to Gades via the Loire and Rhone valleys. It went then through the Mediterranean Sea in ships to Gades. During the period c. 500-450 BC, the tin deposits seem to have become more important, and fortified settlements appear such as at Chun Castle and Kenidjack Castle, to protect both the tin smelters and mines. The earliest account of Cornish tin mining was written by Pytheas of Massilia late in the 4th century BC after his circumnavigation of the British Isles. Underground mining was described in this account, although it cannot be determined when it had started. Pytheas's account was noted later by other writers including Pliny the Elder and Diodorus Siculus. It is likely that tin trade with the Mediterranean was later on under the control of the Veneti. Britain was one of the places proposed for the Cassiterides, that is Tin Islands. 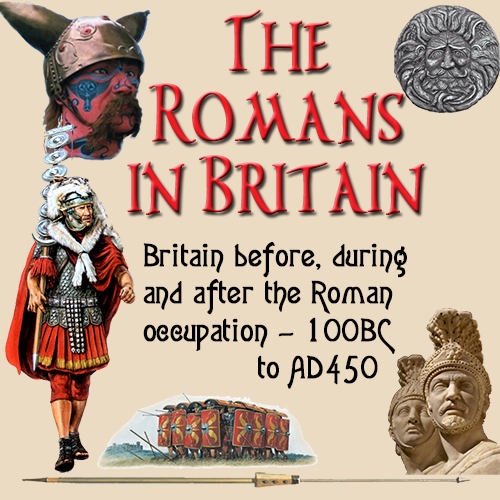 Tin working continued throughout Roman occupation although it appears that output declined because of new supplies brought in from the deposits discovered in Iberia (Spain and Portugal). However when these supplies diminished, production in Dumnonia increased and appears to have reached a peak during the 3rd century AD.